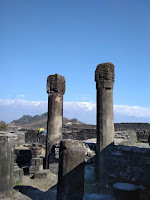 Kangra Fort is some 24 kilometers from Dharamsala, Himachal Pradesh. 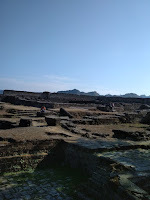 The Fort stretches along four kilometers with number of gates built by the kings and the invaders. According to the audio-guide at the premises, the Fort was built by Maharaja Susharma Chandra some 3500 years ago, and that there have been some twenty Kings before him. It is perhaps the first Fort in the Himalayan region, and for that matter in India. 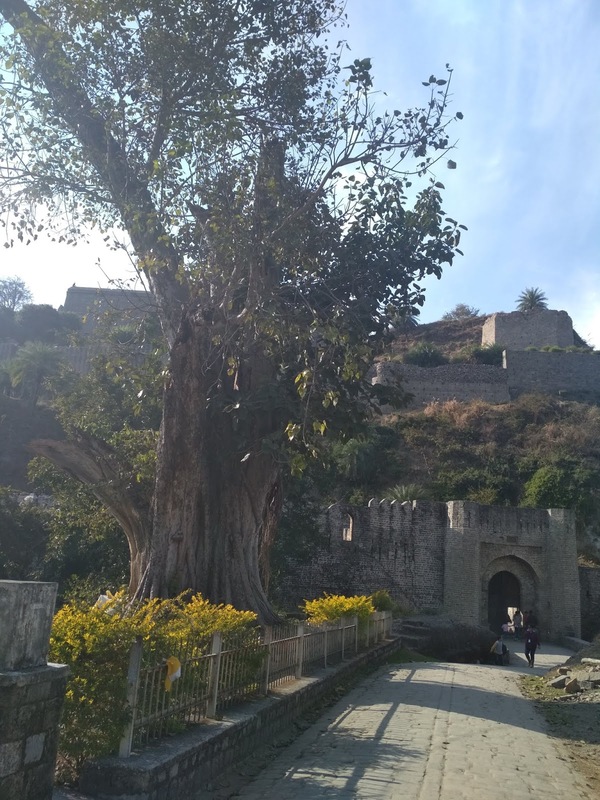 History of the Fort and Kangra Kings date back to the Alexander's time around 326 BCE, when the Indian King Raja Permanand Chand, popularly known as Porus, checked the advance of Alexander the Great. Although historian differs about who actually won the war, it was a fact that many lives were lost during the battle. After a peace treaty, Alexander was said to have returned the same year with a daughter of King Porus. Trigarta Raja Katoch was said to be the direct descendant of King Porus. Mehmood of Ghazni looted the Fort in 1009 AD. Although the Mughal Kings, the invaders from the Afghanistan tried to take over the Fort several times, it remained intact with the Rajput Kings. It was said that "he who rules the Fort, rules the hills". However, in 1620 AD, Mughal King Jahanghir, the son of the legendary King Akbar, took over the Fort after fourteenth-month siege. Some 12,000 Katoch force died defending the Fort. Jahanghir was so happy of his achievement that he pardoned Raja Hari Chand Katoch. The Raja, later organized gaurilla war, unfortunately he was caught and tortured to death. Later, Raja Gamand Chand was able to reorganize the Katoch force and the people, and gained victory over the Mughal force. 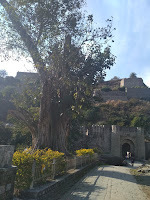 But it was only during his grandson Raja Sansar Chand's time that the Fort came back to the Katoch royal family in 1787 AD. 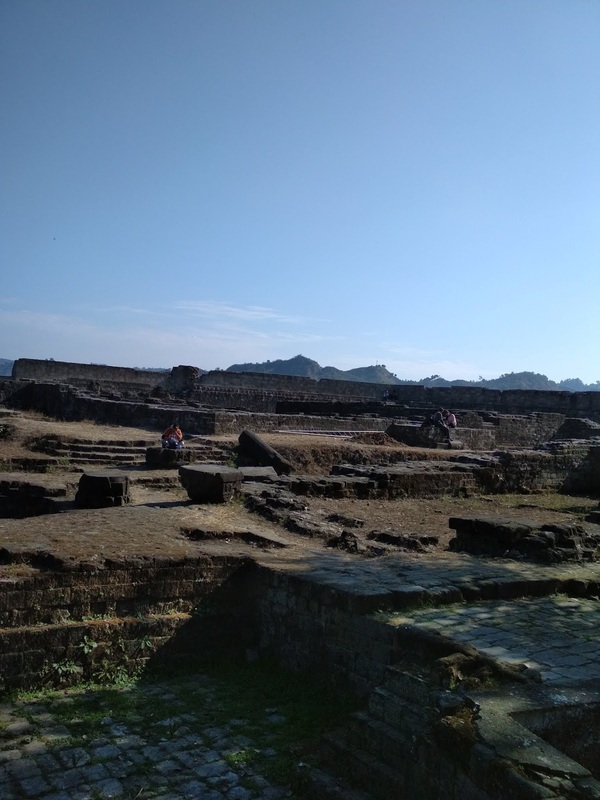 Raja Sansar Chand ruled Kangra well, and the land prospered during his reign of twenty years, and it went down in Kangra history as the Golden age. However, Raja Sansar Chand was ambitious, he subdued the neighboring princely states, and later attacked Bilaspur Gurkha Raja in 1803 AD. This proved to be a fatal mistake. The neighboring twenty two princely states took the opportunity to take revenge and joined the Gurkha Raja to make a collective attack on him. Raja Sansar Chand reluctantly appealed to his adversary King Ranjit Singh of Punjab for help. King Ranjit Singh did helped him, but Ranjit Singh took over the Fort and 66 Katoch villages. Raja Sansar Chand retired to a secluded village with one of the dancing girls in his court, and he died in 1823 AD. The Fort remained under the control of the Sikh Rajas until 1946, after which the British government took over along with other states. In April 1905, a devastating earthquake destroyed the Fort badly and the Fort was evacuated. 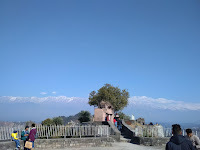 Later the British handed over the Fort to Jai Chand Katoch. The last of the Royal Katoch, Druv Dev Chand, joined the Indian States in 1947. 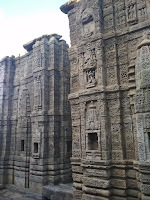 There are many gates and Temple structures in the Fort. 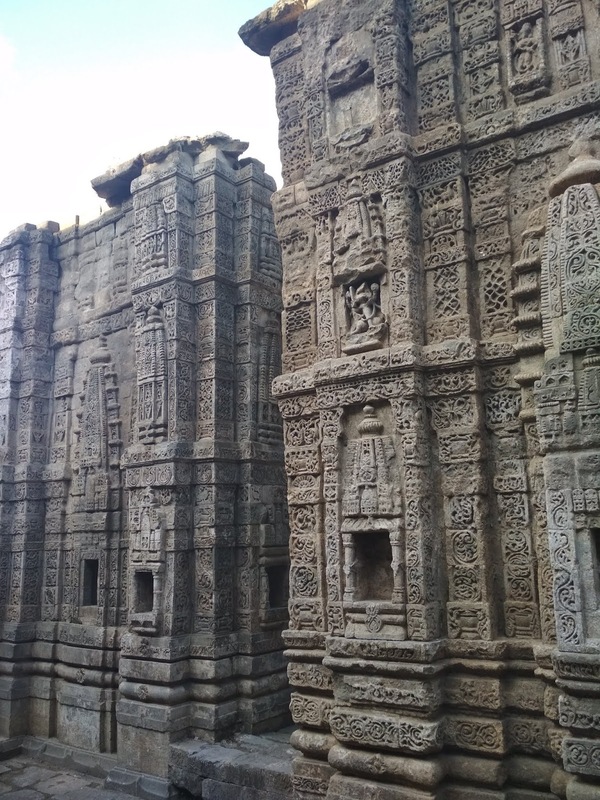 At the summit, you will find Shree Adinath Jain Temple and Ambika Devi Temple, a testimony of religious harmony. Ambika Devi is said to be a Hindu goddess, personification of female energy. Katoch family has been worshiping this goddess since ancient time. 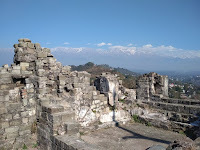 As you ascend the Fort, gun slit openings could be found all along the fort's wall, through which the Katoch force obstructed the enemy's advance. A wide courtyard lies at the top with ruins of Temples, houses and pillars. 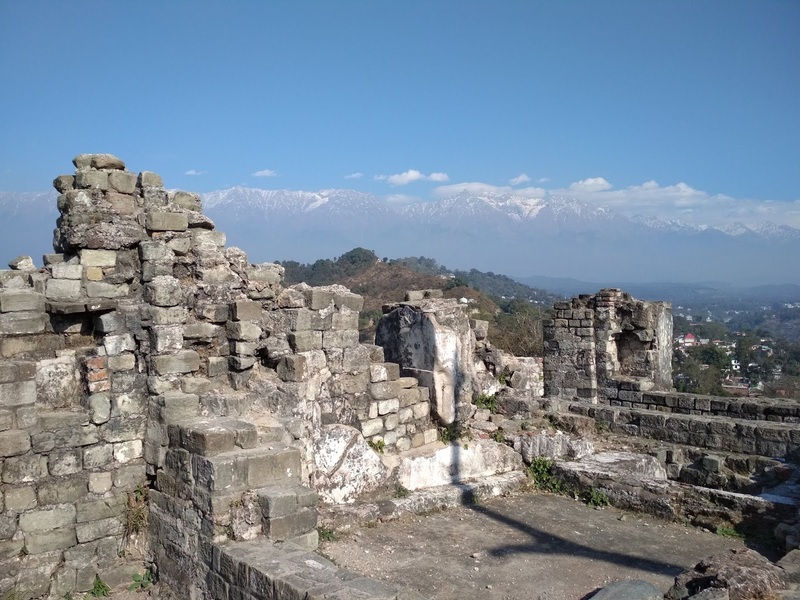 A beautiful panoramic view of the Dhauladhar ranges in snowy garb far away from the summit is mesmerizing, and you can't help wondering that these mountains were the silent witness of the turbulent time the Fort endured. Note: Above is a personal note based on the author's visit to the site, and the audio-service and information board at the Fort. Error and omission cannot be ruled out. Names are transcribed from the audio, they need to be confirmed. Anyone wanting to have a real serious history of the Fort should seek it from a reliable source or visit the Fort. Here is a short biography of Buddha Tonpa Shenrab Miwo, the founder of Yungdrung Bon religion of Tibet. Gyalshen Publications in California has come up with this lively illustrated biography of the Bon teacher who is said to have appeared around 1139 BCE. The rich and admirable culture of Tibet which has won the appreciation of the world around is the ancestral gift from our forefathers of Zhangzhung and Tibet. Origin of this culture can be attributed to some extent to the deeds and blessings of Buddha Tonpa Shenrab Miwo. The text is based on the ancient sutra of mDo 'Dri-med gZi-brjid, the longest version of the Tonpa's biography. The readers will have a fair glimpse of the twelve deeds of the Tonpa Sherab from his birth to parinirvana. 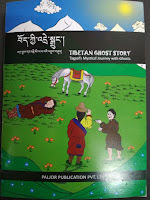 The book is bilingual Tibetan and English, with color illustrations. How can ethics improve teachers’ morale, delivery and the learning outcome? There is nothing amazing about being educated; there is nothing amazing about being rich. Only when the individual has a warm heart do these become worthwhile. We have many educated professionals who are good in making their living but are indifferent to others' and societal needs. His Holiness the Dalai Lama has said, "Education is much more than a matter of imparting the knowledge and skills by which narrow goals are achieved. It is also about opening the child's eyes to the needs and rights of others. We must show children that their actions have a universal dimension." Let me share something about Buddhism here. Buddhism is known in western countries more as science of mind than as religion. It talks about Bodhicitta mind [altruistic mind] as a motivational factor to achieve Buddhood. Bodhicitta is a strong wish to attain enlightenment motivated by great compassion for all sentient beings. Buddhahood is achieved due to the force of this altruistic mind to help others. Nirvana in Buddhism means liberation from the samsara for oneself. Here the motivational factor is not Bodhicitta but self liberation. Nirvana can be compared to the achievement of an educated person who can fulfil most of his immediate material needs, whereas Buddhahood can be compared to the achievement of a person who can fulfil the needs of the society. Ignorance, attachment, aversion, anger, greed, jealousy etc. They circle through three realms. Dharmadhatu, the Buddha nature is present in all of us. But we don't realize it as long as we remain as ordinary . We don't see the reality. So we see the distorted version of the reality under the sway of ignorance. With ignorance, we are in Samsara. The moment we see Dharmadhatu, wisdom is born in us; ignorance disappears; Samsara comes to an end. What is Tantra, and what distinguish Tantra from Sutra? One of the distinctive features of Tantra is employment of subtle mind and subtle energy. Sutra is referred to as causal vehicle. It makes effort to understand the cause of full enlightenment and engage in the practice accordingly. In Tantra, it is more of taking the result into the path rather than the cause into the path. Grabbing the result directly and using that as path to achieve the result is the practice of Tantra. But Sutra is an indispensable foundation of Tantra. Without Sutra, Tantra makes no sense. Proper understanding of Emptiness and Bodhicitta is very important for Tantra. In Sutra, there do exist teaching on the subtle mind, but there is no clear explanation about the subtle mind, such as the experience of subtle mind of people in sleeping and unconscious state or one who is dying. In Tantra, explanation is given in great detail and in precision in this regard inclusive of how to activate these subtle minds in normal waking state. In Sutra, when non-dual experience of emptiness is realized, it is the gross mind, not the subtle mind. As the experience of emptiness is a remedy to dispel ignorance, with the experience of emptiness at gross level of mind, only the gross ignorance is overcome, not the subtle ignorance. Sutra teaching does have meditation on gross and subtle mind as the object of meditation, but the mind realizing emptiness in Sutra is always on the gross level, including the non-dual wisdom of emptiness. Buddhahood is within us, but it is obscured by two obscurations: afflictive obscuration and cognitive obscuration. There are many layers of obscuration all grounded on ignorance. These obscurations are also classified as gross and subtle. Obscurations at grosser level of mind can be eliminated through the practice of Sutra. Tantra offers us the wisdom to overcome the obscurations both at gross and subtle level of mind. To achieve the subtle wisdom, not only of the object subtlety, but also the subject subtlety is unique of Tantra. This subtle mind has two elements, the facet of subtlety and the facet of wisdom. The facet of subtlety may not necessarily have anything to do with the wisdom, and vice versa. In Tantra practice, we have to merge the two through the activation of subtlest mind and the subtle wisdom. Wisdom refers to the one whose apprehension of the object tallies with the reality, knowing the object in its subtlest form. It is the subtlest wisdom which realizes the subtlest reality, emptiness (Shunyata.) This emptiness is the objective clear light. And the subtlest of the mind is the subjective clear light. Now, we need to bring these clear lights into unity within one mind. The same mind should be the subtlest wisdom as well as the subtlest clear light mind. Tantra practice is to have the subtlest subjective clear light focused on the subtlest objective clear light. There is no difference in objective clear light [emptiness] in Sutra and Tantra. It is the same. Difference lies in the subjective mind with and without clear light. In Sutra, we don't find any means to activate the subjective clear light. In Tantra, it is mostly about activating this subjective clear light and then merging it with the objective clear light. Now, to activate this subjective clear light, there are many traditions like that of the innate primordial clear light as taught by Arya Nagarjuna and Acharya Chandrakirti, dZogchen tradition, Mahamudra, Meditation on channel and drops tradition etc. Through one of these genuine practices, subtlest subjective clear light is activated. But with only subjective clear light realization without Bodhcitta push, it cannot move further and any further. There are many non-Buddhist Tantrics as well who have realized this subjective clear light. But they have not realized the intended subjective clear light because of lack of the spirit of unconditional love of Boddhicitta. Subjective clear light needs special powerful boost at higher level, this is ushered in by the force of Boddhicitta. The mind will not become subtler anymore at certain point without this great force. This subjective clear light, in order to be used as a remedy for the subtlest of mental defilements self-grasping ignorance pertaining to the clear light mind, subjective clear light should take the form of wisdom – the wisdom to see the reality, i.e. emptiness which is the objective clear light as described earlier. Without the realization of the objective clear light, the subjective clear light alone cannot serve as remedy to exterminate the subtlest of the mental defilements. With the realization of the objective clear light, but in the absence of Bodhicitta, one cannot fully untangle the knots of the six vital chakras in our body. For the subjective clear light to reach the subtlest level to be able to untangle these knots, one requires a very special and incredible force of Bodhicitta. The wisdom of emptiness and Bodhicitta are very important to push the subjective clear light to be able to remedy the subtlest of mental defilements. Mental defilements have the element of ignorance, which has to be eliminated. Bodhicitta and objective clear light (emptiness) are very important to make the practice of Tantra effective and meaningful in realizing Buddhahood. As Bodhicitta and Emptiness are the highlights of Sutra practice, which is the ground and foundation for Tantra practice. As Arya Nagarjuna said in his work, "In Praise of Dharmadhatu", Buddhahood is to be sought within not without. It is within us; we only need to make effort to realize or see it. But it is obscured by our mental defilements. These mental defilements are exhibited through our body, speech and mind. They are contaminated and not pure. We need to cleanse or purify them. For this reason, in Tantra, there are special techniques for purifying them through series of stages. The stages are referred to as the isolation of body , speech and mind. Body isolation is the practice to isolate one's ordinary body to see the aspect of its divinity. Speech isolation is to see all the sounds in the light of Mantras of various deities. Mind isolation is to identify and meditate on our own mind as Dharmakaya. The practice of Mantra breathing, channel and drops etc. are some important practices. There are three channels in our body running straight from the crown down to the secret point below the navel. Usually, we breath only through the two side channels. The central channel is not used. There are six chakras or knots on the central channel in our body: midbrow, crown, throat, heart, navel and the secret. Tantra practice here involves the use of central channel and untangle the knots to realize the subjective clear light, which reside at the heart's position. Mantra used here is: OM, AHH, HUM. Mantra is to be visualized and only mentally recited. Sitting in a lotus position, we imagine a drop at our forehead, breath in with identifying the vibration of the breath as the sound of OM and feel the drop moving from our forehead to heart through crown. When it reaches the heart, imagine the drop abides while resonating with vibration of the sound of AHH. As you breath out with the vibration of HUM sound, let the drop move back to the forehead. With this the wind or energy enters, abides and dissolves in the central channel. As the energy enters, abides and dissolves, subtle mind gets activated. Normally, we can experience the first two minds only. Through the practice of Tantra, we can experience all these states of mind and voluntarily activate the subtlest mind. Appearance of the subtle mind is in four phases: White appearance, red increase, black near attainment, and clear light. In Sutra, we have Shamatha mediation as in Tantra. But the Shamatha meditation in Tantra is more sophisticated. When energy dissolves at the heart chakra, subtle mind is activated. Then we have to focus this mind on the subtlest reality of emptiness. This subtle mind is subjective clear light mind and the reality of emptiness is the objective clear light. When the unity of subjective clear light and objective clear light is achieved in its full form due to the dissolution of all the energies the way it happens at the time of death, one achieves example clear-light mind and as a result, illusory body is realized. This illusory body is the contaminated illusory body, because defilements still accompany it. But once you have achieved this contaminated illusory body, Buddhahood is guaranteed within this life. In Sutra system, it takes three eons to accumulate merits to achieve Buddhahood. Whereas this illusory body brings to realization of Buddhahood for the individual in such a short time as a single lifetime. After the achievement of the defiled illusory body, although one has clear light, it is in the state of dual experience. Through further practice one reaches a stage where one achieves the mini clear light which is non-dual with emptiness. This is the fifth stage. This mini clear light has the power to overcome all afflictions, both innate and acquired simultaneously. In Sutra system, acquired afflictions are eliminated first followed by the elimination of innate afflictions. It is analogous to dismantling a building piece by piece - Sutra, and dismantling it at one go by a powerful explosive - Tantra. The moment one achieves mini clear light, one becomes an Arhat according to Tantric system. According to Sutra, one has to reach the eighth Boddhisattva bhumi in order to become Arahat by following the Bodhisattva path. The illusory body thus achieved through mini clear light becomes uncontaminated illusory body, which is the substantial cause of Dharmakaya, Buddha's Truth Body. Whereas the mini clear light will be the substantial cause of Rupakaya. Union means the union of mini clear light, and the uncontaminated illusory body. Even after this union, one is still not Buddha. This union is known as the union of the learning stage. Through further practice, the union stage of no-more-learning is achieved which is final Buddhahood. This is how Buddhahood is achieved as explained in Buddhist Tantra system. In Tantra practice, energy and mind is not seen as different. Sutra never accepts the oneness of entity of energy and mind. Mind seen from the point of view of travelling freely towards its object is referred to as energy. The ability of the mind to cognize things is awareness. So it is the same object which moves and knows things. Movement of the mind is energy and the element of cognizing things is the awareness. The two are characteristics of the same object. Bon is generally considered as the indigenous religion of Tibet, which has survived to this day, and Bonpo as the followers of this religion. But this is a general assumption which is true to some extent at a conventional level only. Before the advent of Buddhism in 8th century AD, the religion was widespread in the land and has been a primal force which nourished the Tibetan culture, language and identity of the region. Tibetan civilization owed greatly to this indigenous faith or religion of their ancestors, which gave them a unique identity and cohesive force to survive and evolve as a nation. The early Tibetan empire has been managed and sustained by Drung, Deu and Bon. 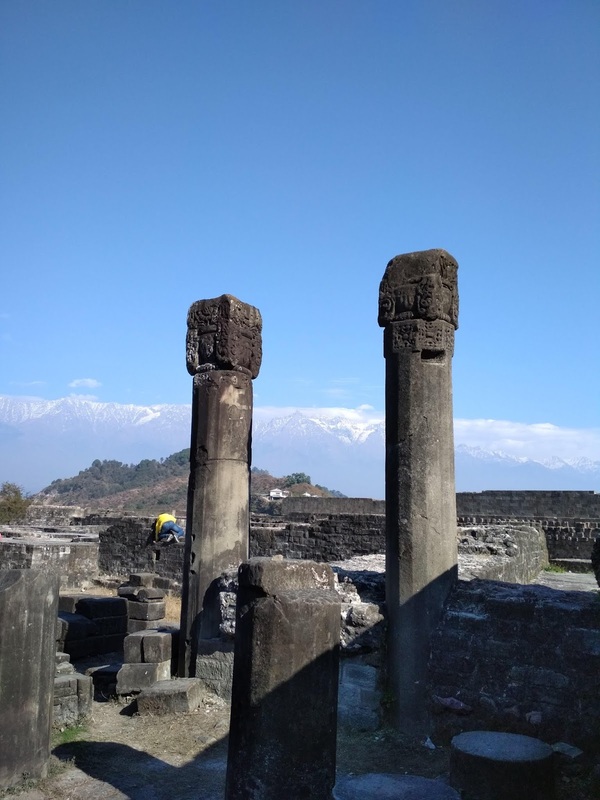 Just as Buddhism became popular in Tibet and the neighboring regions around 8th century AD, Bon too was popular in the Himalaya and the neighboring regions at one time in the past. We must remember that before the Tibetan nation emerged under the Yarlung dynasty, there already was a land known by Zhangzhung and ruled by Zhangzhung kings. The land covers a some part of Tibet and the surrounding areas. Historians and scholars have attempted to unravel the origin and the meaning of the word Bon. According to Prof. Namkhai Norbu, Bon is an ancient Tibetan term having the same meaning as that of the word, bZla, meaning to recite. Bon-pa is an archaic verb meaning: to recite. It is sometimes substituted with the word Gyer, which also means to recite or invoke. Gyer is believed to be a Zhangzhung word for Bon, and Zhangzhung is the country from where the Yungdrung-bon religion came to Tibet. In ancient text, we can see the use of Bon as a verb as well as a noun to mean teach, recite, say, religion etc. Bon is also said to be the source of the term "bod" for Tibet in Tibetan, and that the land took over the name of the religion "Chos Ming Yul la Tsur brTag-pa". Just as Chos, a term used for Dharma or Buddhism initially, has different meanings apart from religion, Bon too has a different meaning. The term "Bon" is as ancient as the early history of Tibet, which we will deal with later. The concept of Bon, its teaching and the culture associated with it are purely of Tibetan origin. Unfortunately, this unique strength and original wisdom of Tibetan civilization has not been well understood and appreciated. Even in this 21st century of open knowledge, free access to information, and religious tolerance, Bon doctrine and its spiritual and culture contribution has not found the rightful place and acceptance it deserved from the progeny of the civilization it nurtured for so long. As a Tibetan who is proud of his ancestral heritage, although limited in knowledge, inspired by old books and people, this is my sincere attempt to throw some light on the matter to correct our perspective through reasoning rather than through concocted prejudiced bigotry and conventional hearsay. Just like any ancient civilization, Tibetan ancestors too lived with nature. Calm and bountiful nature provided peace, prosperity and development. Flood, thunder storms, earthquake, diseases and other natural calamities brought fear and insecurity. In order to live in harmony with nature and tame the destructive natural forces, our ancestors too were intelligent and ingenious enough to come up with the idea of communicating with these forces to pacify or to control them. This communication took the form of rituals involving propitiation, offerings, expelling, incantation, fumigation etc. As the civilization developed, the rituals also became more widespread and sophisticated. This took the form of the belief and foundation of the religion. These early practices and different forms of worship were called Bon. It has no doctrinal foundation, and was comparable with shamanism to some extent. R.S. Stein used the term "Nameless Religion" to mean all the ritual practices widespread in Tibet and the neighboring regions in early times. With the advent of civilization, these indigenous practices also evolved and various form of Bon practices emerged in Tibet and the neighboring regions. Some of the early forms of Bon prevalent in the land were: gDon-bon, bDud-bon, bTsen-bon, Dur-bon etc. There were kLu-bon, gNyen-bon, 'Dre-bon, Ngod sBying-bon, Ma-Sangs-kyi-bon etc. Like any primitive religion, some of these Bons among other things involved sacrifice of flesh and blood [dmar-mchod] as propitiation rituals. It can be deduced from these facts that the term "Bon" was used broadly for all "Religious practice" in this early period. It was not a specific but a generic term to mean various forms of rituals and religious practices or faith in the land. The Bon religion that we are talking about in Tibetan society is Yungdrung-bon taught by Buddha Tonpa Shenrab. This Yungdrung-bon, which has sustained the Tibetan civilization since the early Zhangzhung and Yarlung Empire, and which later came to be known by Bon only, should not be confused with the generic Bon, a term used to mean various rituals, beliefs and faiths in the early period. Tonpa Shenrab Miwo was the founder of Yungdrung-bon religion of Tibet. He reformed and reorganized the existing Bon rituals and expounded the doctrine of Eternal Bon. Tonpa Shenrab was believed to have beeen born in Wolmolungring, a mystical land in Tagzig, identified as Persia or modern day Iran. But given the direction, its proximity and the sound, any phonetician would link it to Tajik-sathan [the land Tajik people], which broke away from Soviet Union in 1991. Some scholars ascribe it to Zhangzhung, the present day Ngari region of Western Tibet. The description of Wolmolungring described in Tonpa Shenrab's biography bears a striking resemblance to the area around Mount Tise and Lake Mansarovar in Western Tibet. In mDo gZer-mig, the medium version of Tonpa Shenrab's life, existence of some forms of Bon practices is clear from the text, "Bod kyi bonpo la bon-du lha-gSol-wa, 'dre bkar-wa, yug phud-pa", meaning "For the Bonpos in Tibet, the religion of propitiating gods, interrogating demons, purification rites were introduced." 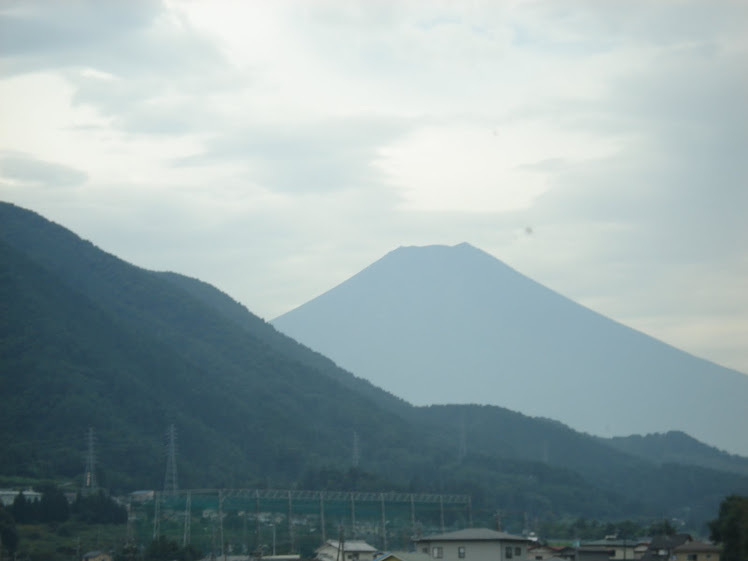 Here the term "Bonpo" is used for the practitioners and "Bon" for religion or ritual. It is also to be noted that in mDo-mDus, the shortest 8th century biography of Tonpa Shenrab, the title name of his father was Lha-bon Mi-bon rGyal-bon, meaning bon of god, bon of human, bon of king. These early scriptures very succinctly prove that there were practices known by Bon in Tibet and beyond the border of Tibet before the coming of Master Tonpa Shenrab. People are apt to say that followers of Bon religion are called Bonpo. But this was not so in the early period. Before Buddhism, Yungdrung-bon religion flourished in Tibet. There was no need to identify the general populace as Bonpos; they were Tibetans only. The term "Bonpo" has been used synonymous to "Lama". It was a specific term used for a person or a priest or to the one who is conducting the religious ritual irrespective of what kind of Bon he was practicing. In mDo-gZer-mig, the medium version of Tonpa Shenrab's biography, he talks about different Bonpos, who tried to cure the ailing prince. The general populace who believed in these rituals were not referred as Bon or Bonpo. Some scholars say that the term was originally used for a class of priest-magicians, and not to the religion itself. This reference of Bonpo to all the practitioners and believers in Bon religion started only after the coming of Buddhism in Tibet to differentiate it from the Buddhist chospas. So, this distinction of general Bon and Yungdrung-bon, and the term Bonpo in early and modern time should be properly understood to have a clear perception of what Bon and Bonpo we are talking about. The term "Chos", Tibetan equivalent to Dharma was coined with the coming of Buddhism in Tibet in 8th century. Initially, Chos was used to mean Buddha dharma, later it also came to be used to mean "religion" in general: Yeshu-chos for Christian, Kache-chos for Islam, Hindu-chos for Hindu etc. A parallel could be drawn to the fact that all yellow-haired [go-ser] foreigners were "Inji" [English] for Tibetans. Only after coming to India in 1959, Tibetans realized that all yellow-haired people are not "Inji". Just as all chospas are not Buddhist and all go-sers not Inji, all bonpos are not Yundrung-bon followers. Chos in generic terms is different from Buddhism; likewise, Bon in generic terms is different from Yungdurng-bon. This distinction should be very clear. What was Bon for religion earlier became Chos later. As early Bon practices were reformed and abolished, Yungdrung-bon religion came to be known only by Bon in the later period. Yungdrung-bon means religion of Yundrung, "Yung" means not distracted from the eternal truth or meaning, "Drung" means everlasting, so "Yungdrung-Bon" means "Religion of everlasting or eternal truth". And this religion should not be confused with the other early practices which may have survived in and around Tibet in the name of Bon. Yungdrung-Bon doctrine taught by Tonpa Shenrab, which has come from Zhangzhung and has been practiced since the early days of Nyatri Tsenpo, the first king of Tibet, should not be taken as the same as the early Bon practices where some form of animal sacrifices were involved. 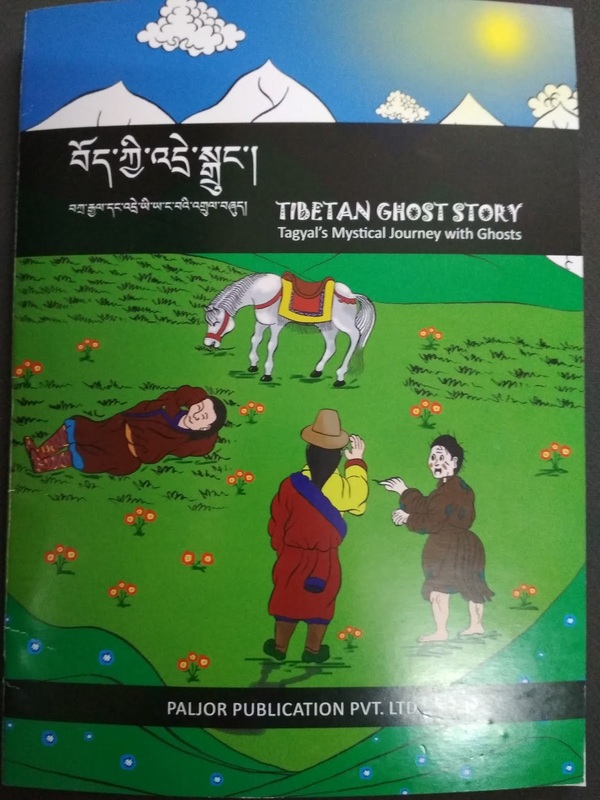 In mDo-gZer-mig, the medium version of Tonpa Shenrab's biography, one of the Bonpo priests has said, "I don't understand the Bon of killing one to revive another; it is not proper and should be avoided.". Tonpa Shenrab reformed and abolished all forms of animal sacrifice and blood offerings and replaced it with substitutions using dough, effigies, etc. for glud and dmar-chos rituals. These teachings are well recorded in the four Bon of cause; where he taught divination, astrology, sortilege, healing, exorcism, ransom, funeral rites, etc. In fact, if we look at Tibetan culture, it is these four Bon of cause which have made the Tibetan culture unique and rich, and these practices are still very much alive in Tibetan society in different forms and are well adapted into their religious and secular life. In order to properly understand the teaching of Yungdrung-bon, commonly known as Bon, study of the biography of the Teacher Tonpa Shenrab, which is in three versions, is indispensable. mDo ‘dus is one of the earliest and shortest written sources in one volume with 21 chapters under gTerma [discovered text] on the life of Tonpa Shenrab. The text is believed to be translated from Zhangzhung to Tibetan by sNya-chen Lishu stag-ring and he concealed it in 8th century. Two other biographies: gZer-mig and gZi-brJid are the medium and longer versions of the Teacher's life and teachings, containing 2 volumes with 18 chapters, and 12 volumes with 61 chapters respectively. The doctrine and philosophical teachings of the Yungdrung-bon are classified into two as 1) sGo-Zhi mZod-nga; four doors and one treasury, and 2) Theg-pa rim-pa dgu; nine stages of vehicle. The latter is popularly known as "Nine ways of bon", after David Snellgrove's translation. The Nine ways of Bon are further classified as rGyu-bon zhi; four bon of cause, 'bres-bon zhi; four bon of result, and the rZod-pa chen-po; the great perfection. Until and unless one has gone through these hagiographies and the vehicles, it may not be prudent to slander the teachings of this great Master of Tibet, Tonpa Shenrab. It is true that Buddhism greatly enriched and enlightened the Tibetan civilization, but discarding and belittling one's own root and culture is not an honorable conduct. Buddhist missionaries extolled India as the land of Gods; anything coming from India was considered sacred and pure, so much so that the propagators tried and were in fact successful in rewriting the Tibetan ancient history by ascribing the origin of the Tibetan race, king, and language to India. Scholars like Namkhai Norbu have refuted these claims as overdoing of the Buddhist masters to show their loyalty to the land of Dharma and to disparage the native civilization. "In both China and Japan, the Dharma flourished and greatly influenced the development and enrichment of the cultures of respective nations. But nowhere have these nations sacrificed the uniqueness of their own culture and history for the sake of Dharma. 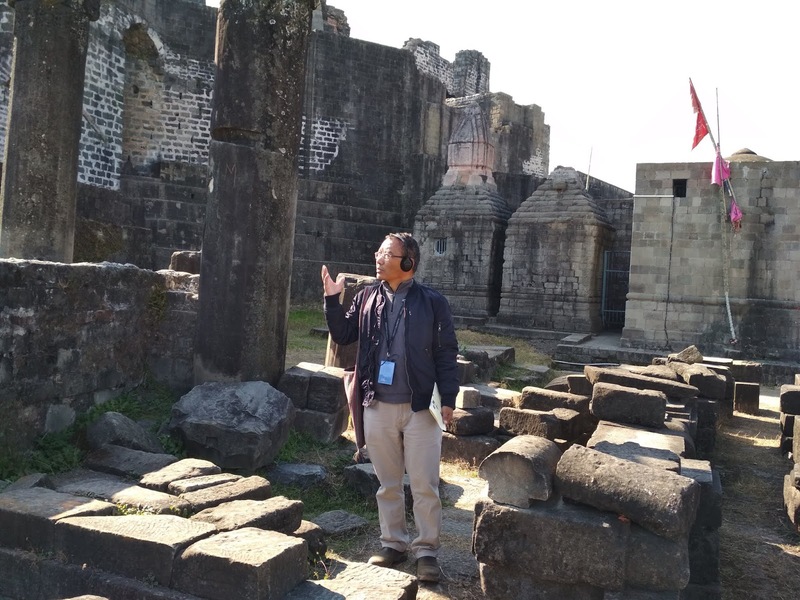 There would be nothing wrong if the Tibetans would view the relation between Buddhist religion and their cultural history in such a perspective." We sometimes hear of the difficult situation faced by children of Bonpo families when they were in Tibetan schools in India. In one of the Guru Rinpoche's prayers "Bar Ched Lam-Sel" it is written "gDon-gZugs Bon-gyi bsTen-pa bsNubs", and many interpret this as "Guru Rinpoche abolished the Bon religion of Tibet". This is not true, and it is blasphemous to interpret it in this way. gDon means demonic spirit, and gZugs means form. So what the scripture is saying is that Guru Rinpoche abolished the Bon teaching that was in the form of "gDon-worship", i.e. demonic spirit-worship or propitiation. Tonpa Shenrab too disapproved of this practice much earlier, when he introduced Yungdrung-bon. A simple explanation from a teacher could have saved many Bonpo children from the psychological trauma of having to recite this prayer along with other students in the schools, and other students also from thinking that Bon was to be avoided. We have already discussed the various forms of Bon prevalent in Tibet and the neighboring regions before Tonpa Shenrab and this gDon-bon could have survived in some form, even during the Guru Rinpoche's time. So, this gDon-bon which Guru Rinpoche subdued and was recorded in the scripture should not be misunderstood for Yungdrung-bon practiced by the Tibetan Bonpos. Guru Rinpoche did not suppress or abolish Yungdrung-bon teaching. As for Guru Rinpoche's view on the Bon teaching, here is an extract from Kathang, "gYung-drung bon kyang bden-par nges. Sid-pai dgu-lha dus su mchod. gnod-byed nyes-pa' si-mgo non. Long-spyod phyawa dang gyang du 'gug. Bod rnam bde-legs 'byung bar mzed." This can be roughly translated in laymen's language as: "Yungdrung-bon is also a confirmed truth. Deities of the land should be propitiated in time. Heads of the harmful demons should be suppressed. Prosperity should be summoned through Phya and Yang [luck and essence]. Tibetans be blessed with health and prosperity." Buddhism too was misinterpreted in early 10th and 11th century, where tantra practices were greatly misused. This led Lha Lama Yeshe-Od to invite Atisha Dipamkarashrijana to clarify and revive the real teaching of the Buddha. But this does not mean that Buddhism before Atisha was bad and Buddhism after Atisha was good. Buddhism as a religion is pure and good, but there could be bad practitioners. Just because there are bad practitioners, we cannot say that the religion is bad. So it is same with Bon teaching, not all early forms of Bon are bad. There could be bad as well as good Bon, but the mDo, sNgags and Sems teaching of Yungdrung-bon taught by Tonpa Shenrab is what is being practiced by the Tibetan Bonpos. And it is this Bon we have to take into the context while talking about Bon religion of Tibet and its followers, Bonpo. Tibetans should be proud that like any other major civilizations of the world, they too had an ancient religious culture, which evolved over the period of time, coexisted with Buddhism, and gave the land and the world a unique religion and culture of peace, compassion and non-violence. Bon and Buddhism are two inalienable sacred paths, analogous to the method and wisdom aspect of Vajrayana teachings, indispensable to understand the depth and essence of the Tibetan mind and civilization. Bon is the foundation of Tibetan socio-cultural identity, and we should learn to appreciate our origin and heritage, and be grateful to the everlasting wisdom of our forefathers. (1) Namkhai Norbu, page-45. (2) Bon-sGo 5, 'go-pa bsTen-'Zin 'Brug-drags, Bon gyi skor cun zhig gLen-ba, Page-37. (1) Shar-rDza bKra-Shis rGyal-tsen, page-47, 161 (2) Samten Karmay, TGS, page-30. mDo-gZer-mig, Chapter nine, page-161-162. "Bon-po tham-ced kyi gTo byes kyang ma phen". [Rituals of all the Bonpos brought no effect.] And the text talked about a Bon-po, who was against dmar-mchod, animal sacrifice. glud means expelling or banishing someone away with a request or order to take the disease or bad luck along it. dMar-chos means propitiation through the offering of blood and life. (1) Nyang-rel Nyima 'Od-zer, Page-170. (2) Tsepon Shakabpa, page-12 and 25.
 ibid Namkhe Norbu, page 8. Nyer mKho'i Shel 'don kun-phen nyi-ma, page-283. Bon-sGo 10, 'Go-pa sten-'zin 'brug-drags, page-32.